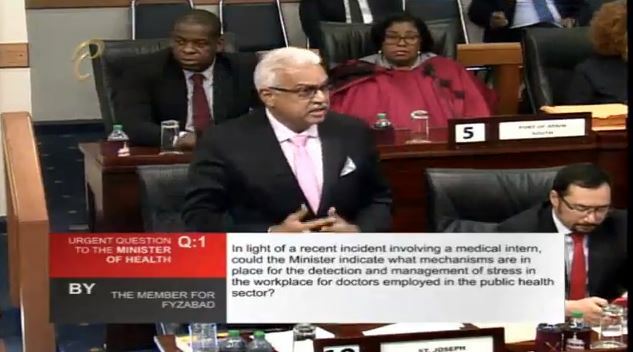 Health Minister Terrance Deyalsingh has raised concerns as to whether persons in managerial positions are fulfiling their roles in monitoring the mental health of local medical interns. The Minister was responding to urgent questions posed to him by Fyzabad MP Dr Lackram Bodoe on whether effective systems were in place to treat with interns who may be under severe stress. The questions follow reports earlier this week that a medical intern was removed from active duty after she posted a racist rant on Facebook. In response, Deyalsingh said he was confident in the systems in place to treat with stresses associated with the job. He noted that each Ministry has an Employee Assistance Programme for the management of issues. He said for the detection, performance management systems are in place via quarterly assessments and annual assessments. Deyalsingh also said that for more daily assessments in real time, each intern is assigned by the Chief Medical Officer to the Chief of Staff of the respective hospitals. He said they are expected to report to the head of the department and are assigned a consultant who has the responsibility to monitor these interns on a daily basis to look out for behaviour changes; changes in work performance, coming to work late which are all signs of stress. The Minister said while this system is effective, more emphasis must be placed on selecting well-rounded trainees rather than those who are solely academically inclined. "The mechanisms are in my view adequate, the thing is, are the persons charged with the responsibility - which are the consultants and the heads of staff - are they, in fact, conducting the assessments as they should? If we do it, then the systems are adequate. It is whether persons charged with the responsibility of the day to day management of the interns are actually doing the assessment and Mr Deputy Speaker, before I close because I know we only have two minutes... we can do what we want with the intern, the solution is the quality of person we taking to do medicine because in this country we give too much weighting to pure academics. Everybody has four A’s now." 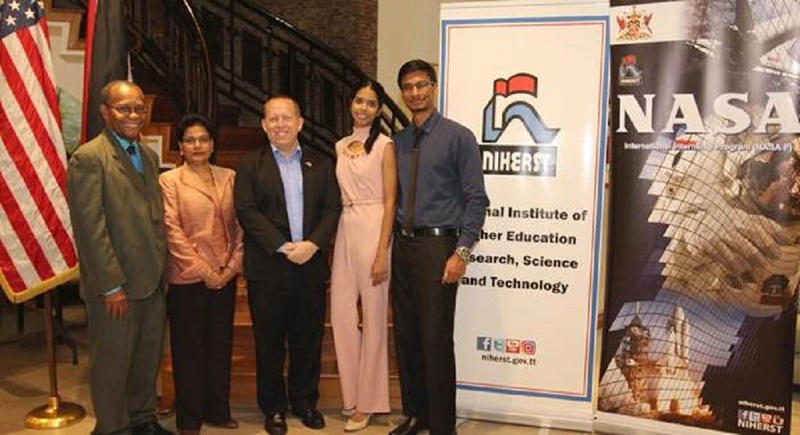 Deyalsingh compared the system in Trinidad and Tobago to one that exists in England where he said medical interns were selected based on their academics as well as extra-curricular involvements. "When my daughter had to do medicine in England, you know what took her over the thing? Her involvement in pan, her involvement in volleyball, that’s what my daughter did in England and she had to serve a two-year internship. That system gives you a better product at the end of the day versus our system which is heavily weighted on academics, everybody gets four A’s and you don’t consider extracurricular. You don’t look at the rounded person so they can go into a hospital setting and cope with stress." The Minister also reiterated his view that interns ought to undergo two years of training instead of one. 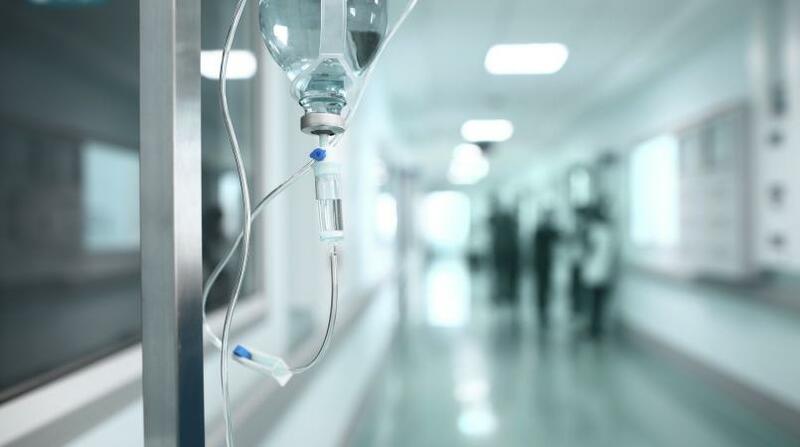 "I made that clear in 2016 to the Faculty of Medical Sciences and to the University of the West Indies that a medical intern should have a two-year internship rather than a one-year internship so any issues like this has a chance to come to the fore. Currently Mr Deputy Speaker, an intern only has four rotations for three months each; paediatric, surgery, general medicine and obs and gynes (obstetrics and gynaecology), wholly inadequate."